Well it's that time a year again when many anglers start targeting Muskies. Most are die hard muskie anglers, however there are also new anglers trying to catch one of these giants. I seen this chart on the Ontario Ministry of Natural Resources web site I thought I would share it with the other WFN members and viewers that are considering fishing for Muskies. 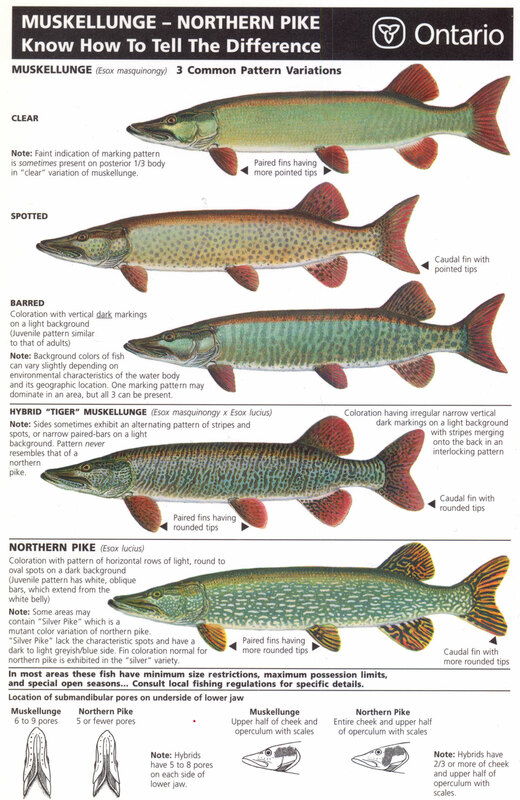 Hope this helps you out with knowing which type of Muskie you catch or if it's a Pike or hybrid. I like to use a Lindy Glove for handling these giants. It has Superior protection from fillet knife cuts, hook punctures, fish teeth, gill plates, from wire leaders and is machines washable. 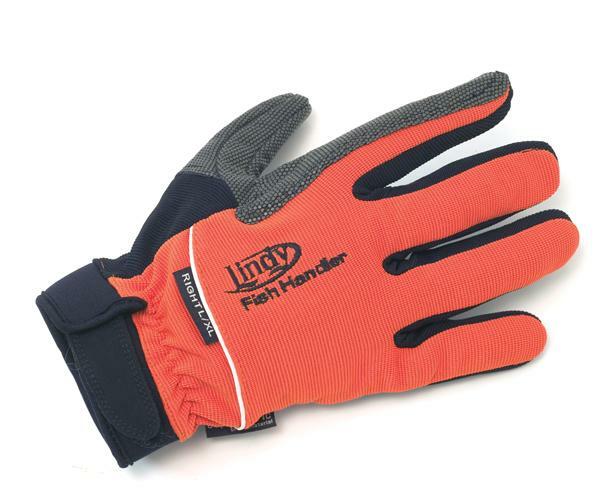 the glove also aids with a more efficient handling of fish for a quicker release of the fish, making it a conservation aid as well as a safety tool. Remember to take care of handling these giants so future anglers can enjoy the thrill of catching one, one day.